Stay Cool as a Cucumber, Whatever the Weather. 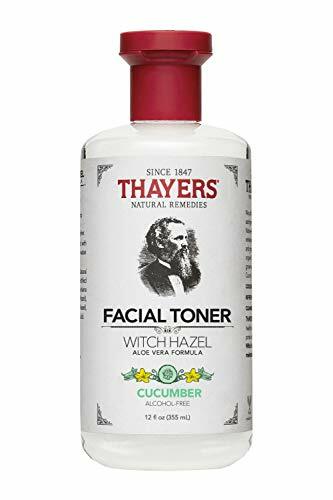 Thayers Alcohol-Free Cucumber Witch Hazel Toner with Aloe Vera features essence of cucumber, filet of aloe vera, and our proprietary Witch Hazel extract. It has a deliciously serene effect on the face and body. Experience our formula for serenity now! Cucumber is packed with Vitamin C and caffeic acid, which are key in soothing the skin by reducing puffiness and irritation. Antioxidants in cucumbers diminish clogged pores and help fade dark circles under eyes, blemishes, and scarring. Vitamin B-5 in cucumbers also help to retain moisture in the skin, allowing for your skin to feel fresh all day. 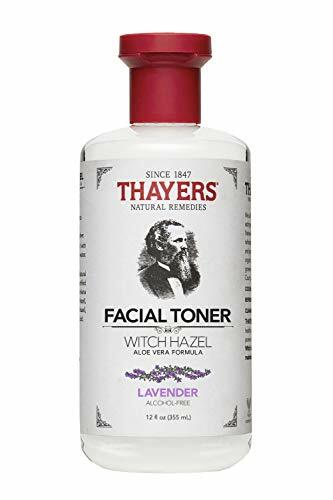 Thayers creates the only Witch Hazel products made of non-distilled extract from the Witch Hazel shrub, maintaining the highest levels of therapeutic tannins, the mild antioxidants that help your skin look and feel its best. These natural elixirs have been a fixture in medicine cabinets for generations. Once you use them, you ll know why. Your Skin Will Think You re at a Spa. 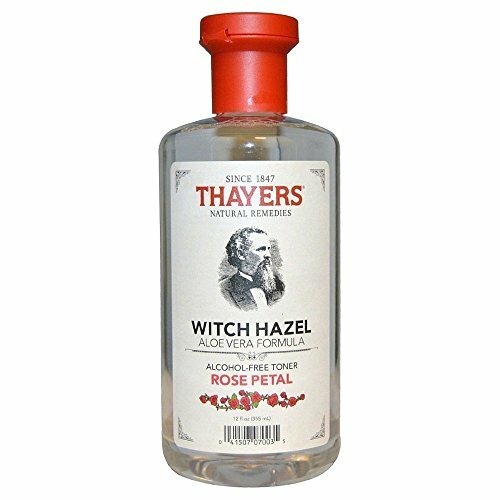 Thayers Alcohol-Free Lavender Witch Hazel Toner with Aloe Vera revitalizes the skin with a gentle, soothing formula. Thayers remarkably soothing Lavender Toner is made with lavender extract, filet of aloe vera, and our proprietary Witch Hazel extract. Go ahead: treat yourself. Lavender s anti-inflammatory and anti-bacterial properties cleanse skin, help manage acne, calm sensitive skin, and reduce redness and irritation. Not only does lavender help calm the skin from the outside-in, the smell can physically calm you as well. Lavender is extremely gentle and beneficial for all skin types, especially those that are sensitive or acne-prone. 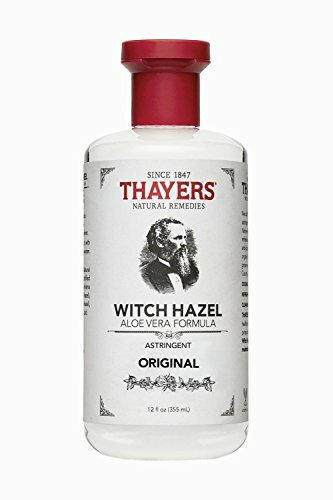 Thayers creates the only Witch Hazel products made of non-distilled extract from the Witch Hazel shrub, maintaining the highest levels of therapeutic tannins, the mild antioxidants that help your skin look and feel its best. These natural elixirs have been a fixture in medicine cabinets for generations. Once you use them, you ll know why." Thermal Spring Water is the key ingredient of all Av ne skin care products. It infuses the skin with hydrating, soothing antioxidant water. Alleviates redness and irritation associated with psoriasis, eczema, and rosacea. Use as a facial mist to calm skin after shaving, where there's burning, stinging or after irritating dermatological procedures. Provides antioxidant protection with an optimal calcium/magnesium ratio. Ideal for use after exercise or during travel for a soothing, perk-up. Safe for infants, children and adults. Rooted in dermatology and hydrotherapy, Av ne has over 270 years of expertise in caring for sensitive skin and is trusted by millions. Its core ingredient, Av ne Thermal Spring Water, soothes and helps minimize skin sensitivity. Use as often as necessary. Low mineral content makes Av ne Thermal Spring Water extremely softening. Originating as pure rain mixed with sea-spray rich in mineral salts, then infused with trace elements and silicates. Each of our mists can be used whenever, wherever but it's easy to incorporate all three into your day-to-night regimen. Here's one (of many!) 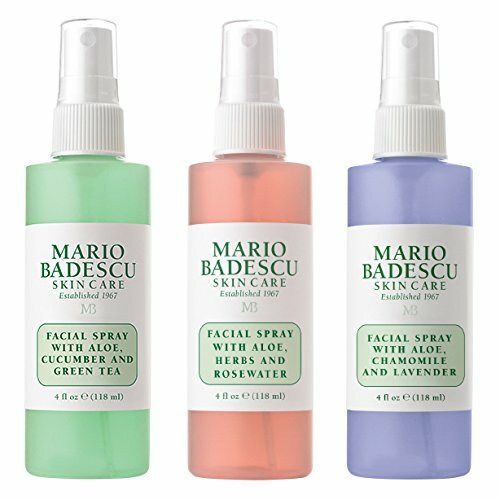 ways to use your mists: MORNING: Start your day with the Facial Spray with Aloe, Cucumber and Green Tea. Mist on clean skin before moisturizer to boost hydration and help tone your complexion. ALL DAY: Keep your rose-infused face mist on hand as a midday pick-me-up or to bring back the dew in your makeup look. EVENING: Set the tone before bed. Use Facial Spray with Aloe, Chamomile and Lavender before you apply your nightly serum and night cream for a calming botanical boost. #MBSkinTip: We weren t kidding when we said these mists could be used in more ways than one. Use any facial spray of your choice to dampen makeup brushes or sponges for easy makeup application. Once you re done, mist your face as a final step to add radiance to your final look. And for an extra refreshing and cooling boost, store the bottles in your refrigerator. 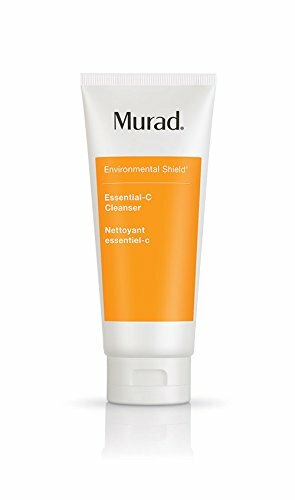 Our unique 100 percent natural formula combines extracts of the witch hazel plant to thoroughly cleanse and condition your skin without disturbing its natural moisture balance. - 100% pure, organic and facial toner made by hand. We predict that in just a few short years the beauty industry will finally realize that you want a more natural way to look after your skin. That is the only reason why we created Teddie Organics for you - to showcase nature's best. You're covered by our Risk Free Guarantee. If you're not 100% satisfied with your purchase, we will insist on refunding your money. And you get to keep the bottle. You've got nothing to lose when you grab a bottle Today. 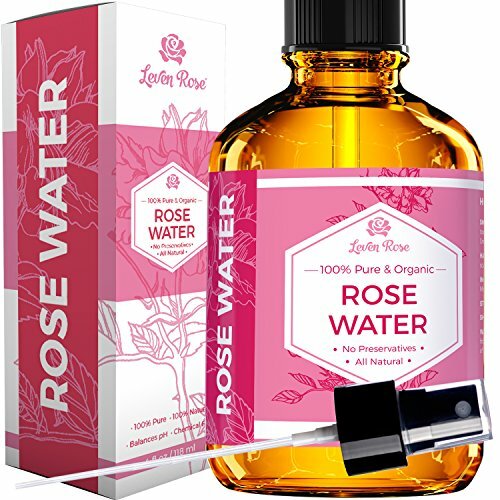 100% PURE & ORGANIC ROSE WATER. There are no Chemicals, no Preservatives and definitely no Artificial Fragrances in our Rosewater. Just the pure scent of Organic roses dispensed through a convenient, easy to use facial spray cap. COMPLETE SKIN CARE. Provides instant hydration for your face and neck whilst rejuvenating tired skin, helping to create a more vibrant and youthful complexion. 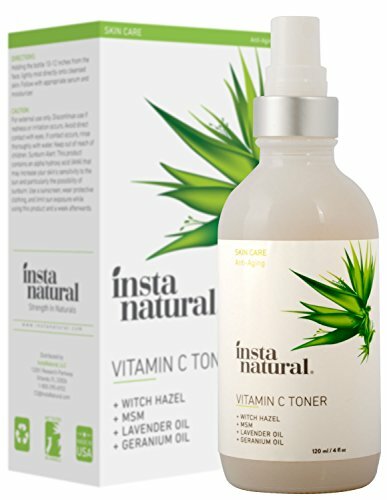 Lightweight and versatile face toner that will restore your skin's pH balance and absorb excess oils (without causing dryness). Use this before applying our Organic Argan Oil for a new, natural beauty regimen. PERFECT FACIAL TONER. 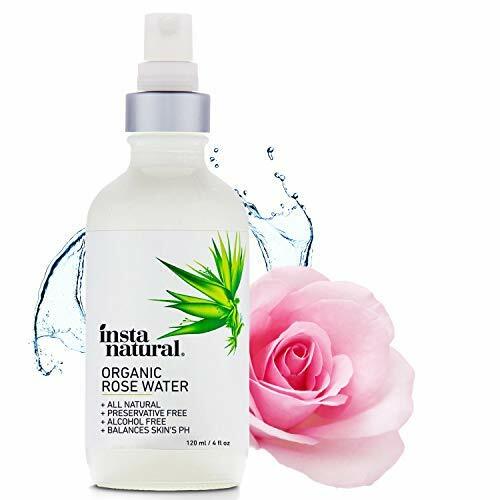 Anti-inflammatory properties of the organic rose water will calm skin irritations and can help with sunburn/razor burn. It can even help make your hair soft and shiny and provide hydration for your scalp. Great as a calming finish to any fitness or yoga session! Spray on to refresh tired skin after long car or plane journeys. Keep the conveniently sized 2oz bottle in your bag and our best value 4oz bottle at home! Speeds up the natural renewal of skin cells. Suggested Usage: -At night, pour onto a cotton pad and swipe over clean, dry face in a circular motion. -Follow with a serum or moisturizer of your choice. 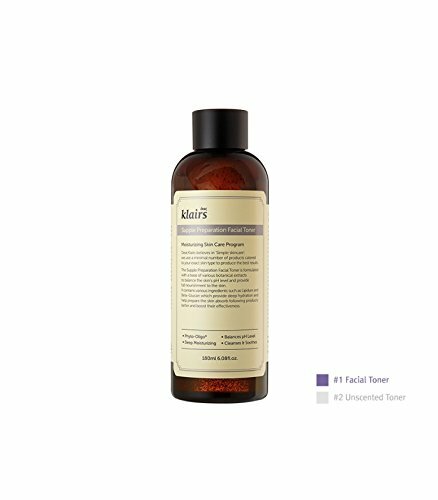 What Else You Need to Know: This powerhouse face toner targets dark spots, fine lines, and wrinkles, brightens, and smooths texture. Tone post-cleansing, and you'll be perfectly prepped for serum and moisturizer. Plus, with its addictive lemon sugar scent and the tingle, you'll be hooked from the very first swipe. Calming botanicals aloe, lavender, and cucumber soothe and comfort skin for a healthy-looking complexion. 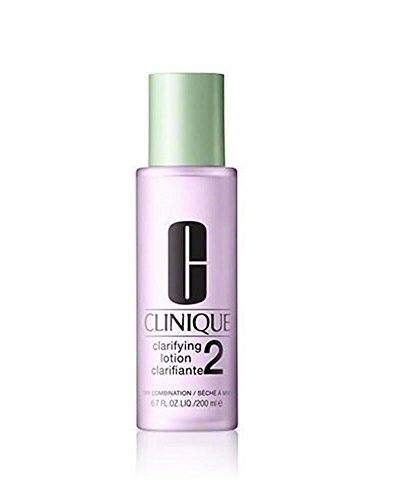 This spray on toner prepares skin for moisturizers with nutrient-replenishing mineral water and hydrating hyaluronic acid that help skin absorb and retain moisture. 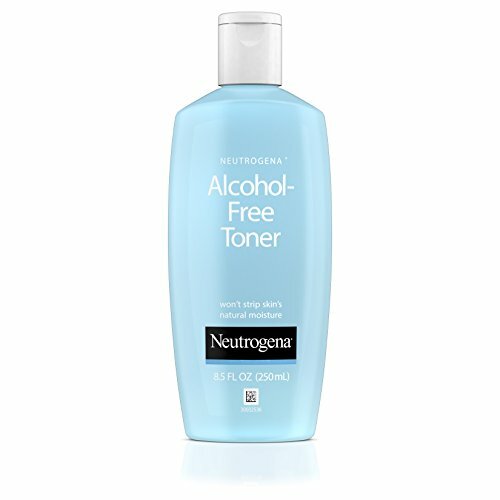 When applied to damp skin, toner allows moisturizers and primers to optimally hydrate and plump skin, leaving skin in perfect condition for flawless makeup. 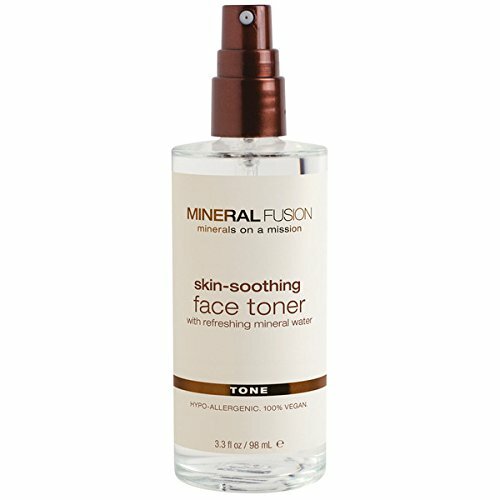 Our spray-on toner prepares skin for moisturizers with nutrient-replenishing Mineral Water and hydrating Hyaluronic Acid.